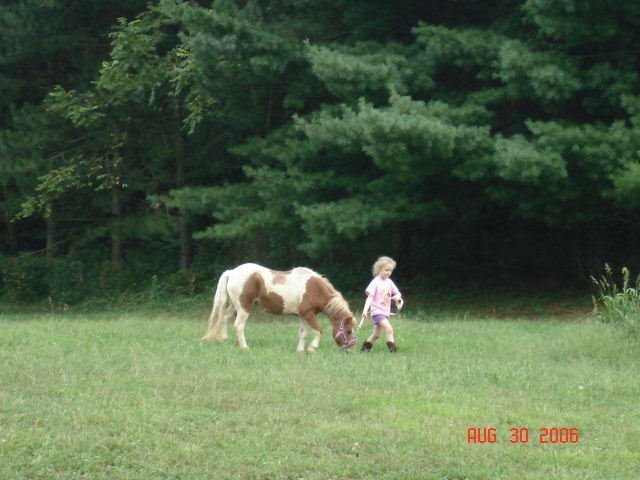 Here is a picture of Lizzie leading Opal Pony. She lead her all over the yard and Opal did a real good job leading for her. Bill Hofacker (our farrier) said that Opal needs to get more excercise. :) She spent all summer in the pasture eating grass and getting fat.